"He help to sell our house He is very professional and dedicate, had many "open house" in order to sell the house. He was very attentive to the cat so that she can not run out of the house during the open houses. To top that he was able to get price we wanted in very difficult market of 2008." "As a mortgage loan officer, I have worked with Wahid on several transactions over the last few years. Wahid is always on top of the details and in communication with all parties. He is very knowledgeable and a good resource for his customers. I would recommend him to anyone looking to buy or sell real estate in the area. Thomas Popson (978)302-0657 tpopson@mortgagenetwork.com Thomas A Popson, Friend — December 15, 2013"
"I was very fortunate to have Wahid as my agent, and I highly recommend him whether you are buying or selling your home. My family was looking for a home (condo) in Boston area (Cambridge, Newton, Arlington, Belmont). We started back in February and have moved in to our newly constructed home in August. Wahid was with us, and supporting us, from first to last day. From going to open houses, to educating me about home buying process, market conditions, price research, even after we closed and moved in, he wanted to make sure everything is perfect. No email, text or phone call was not responded to, and all in timely matter. I had a feeling that he was working exclusively working on our case. During construction he was checking that work was going on schedule and done right. Going to the property at 10pm, no problem! Despite million e-mails and SMS I sent asking about every little thing, he never showed even a smallest sign frustration. He strove to do things right, always. Should you ha"
"We are writting to express our pleasure with Real Estate Agent Wahid Shaikh, who represeted us in our recent purchase of a single-family detached condominium. After many months of searching, Wahid found a home that we fell in love with. Not only was it exactly what we were looking for but the service and kindness we received from Wahid Shaikh this home buying experience was really appreciable. To reiteate, we are noting but pleased with Wahid Shaikh and his expertise and we would definitely recommend him to anyone , as he would give them information that everyone deserves when taking big decision. We could not have asked for a better person to work with. Sincerely, Kalpan & Sonal "
"Wahid Shaikh was instrumental in making the purchase of my home in Medford, Mass. The deal required a considerable amount of processing as I was a resident of California at the time and my mortgage company was a local California bank who did not have a branch in Mass. There was considerable pressure to meet deadlines, Wahid made sure I was on top it, He was my direct contact with the seller's agent. He made sure all documents and payments were correct and delivered in time. This was complicated greatly by the seller's agent, who placed all kinds of obstructions in our way, thinking we would raise our bid (even when the deal was closed). Many shenanigans ensued as a result, but we won out in the end, in large part due to Wahid's insight and sharp maneuvering. I would recommend Wahid 110%. Did I mention I felt I could trust him totally? Well, he is on the seller's side completely, no hidden agenda absolutely." "June 21, 2009. To Whom It May Concern: I am writing to convey my complete satisfaction with Wahid Shaikh as a realtor. We were very happy to have Wahid as our real estate agent. Throughout the entire process, Wahid was professional, reliable, and motivated. We are proud to say that we picked out Wahid when we interviewed different agents. Wahid guided us through the entire process from loan pre-qualification to closing the deal. Since it was our first time purchasing a new home, we were unsure about loan pre-qualification and other important documents. Wahid straightened it all out for us and made sure we made the right choice in picking out our loan company. We were having problems with the builder at the closing time but Wahid took care of all the issues and assured that the closing process ran smoothly. Even after we bought the house, he took care of every little problem. I recommend Wahid to everyone who is"
"I had an opportunity to work with Wahid Shaikh while I was selling our Waltham house. 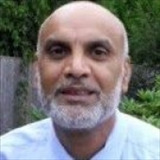 Wahid is very knowledgeable, energetic, hard worker. Despite all the complications with our property, Wahid was able to sell our house in a very reasonable time. I highly recommend him as a real estate agent.Faisal Reza, Client — January 6, 2014"